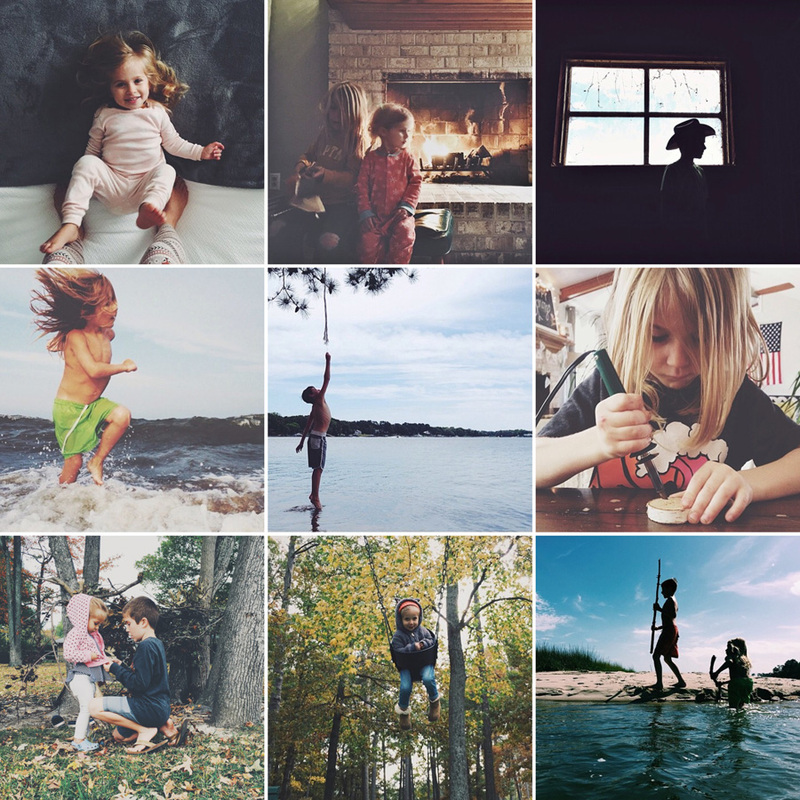 I'm not a photographer and I don't even own a "big camera," so I am extremely grateful to have the ability to capture photos of my children so easily right from my iPhone. A few weeks ago, my three boys were building a wilderness fort at the park and they asked me to walk down to see it. When my daughter Annie and I arrived, my oldest asked me to take some pictures of their fort in case it got destroyed in the coming storm. So I had my phone out, getting ready to snap away, when Annie needed help zipping up her hoodie. Before I could respond, my eight year old ran over and stooped down to help her, and I was able to capture this sweet relationship grow just a little bit stronger with the tap of my finger. It was magical. My favorite kind of photos are the candid and unposed. I rarely ask my children to look at the camera or smile. That might sound strange, but I want to capture life as it happens and remember the real moments. The only real trick I have is getting down on their level. 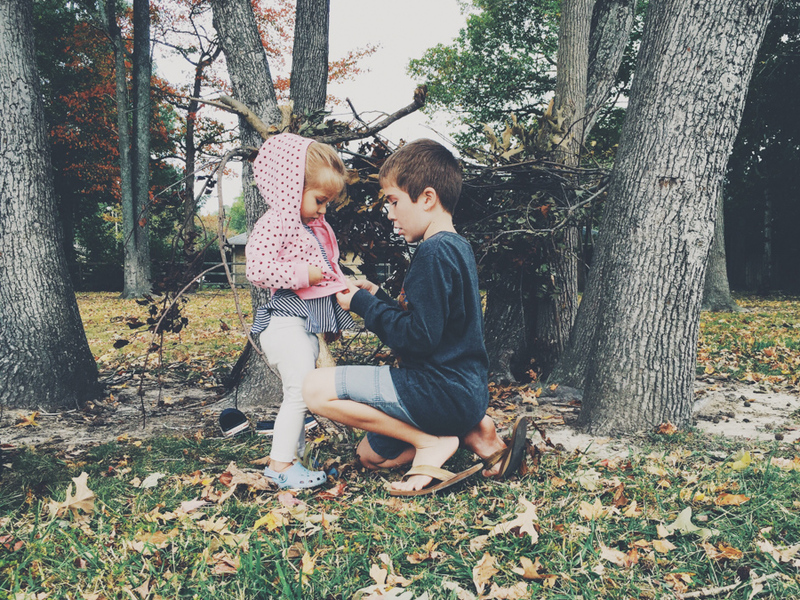 Years from now, I want them to remember that I was there with them, sitting in the damp leaves, wading out into the water or building castles from wooden blocks on the floor. You can see more of Ainsley's love filled pictures on her instagram feed @ainsl3y, and if you happen to homeschool your little ones, check out her beautiful blog Wild + Free.